What a crazy beautiful weekend for April! 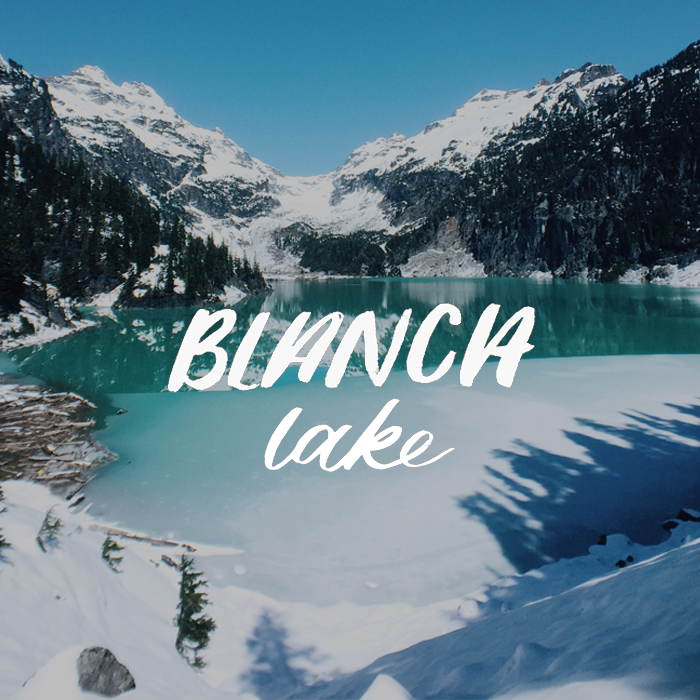 I’ve been wanting to hike Blanca Lake ever since the first time I saw a photo of it – it’s beyond gorgeous right?! The hubby and I finally made it out there this weekend. We arrived at the trailhead around 9:15 and it was fairly empty with about 10 cars int the lot. I’ve heard this hike is very popular in the summer so be aware the lot comfortably holds around 50 cars (WTA says 20, but I counted 50 cars in the lot at the end of our hike). Once you hit the trail it starts climbing immediately and doesn’t really stop until you hit the top of the ridge. About a mile and half from the lake snow appears. In the morning it was moderately slushy and I was glad for microspikes and gaiters (thanks Kristen!). I wish we had brought poles to maneuver the steep downhill snow and roots but we managed. Once you come to the top of the ridge there’s a nice view of Glacier Peak before heading back into the forest and making your way down switchbacks to the lake. I remember coming to the ridge and thinking we must be so close! When in actuality you now have to climb back down the mountain to get to the lake. This part was especially slippery and narrow. Where there wasn’t snow there were mud pits. The melting snow and foot traffic is really making for a messy trail. 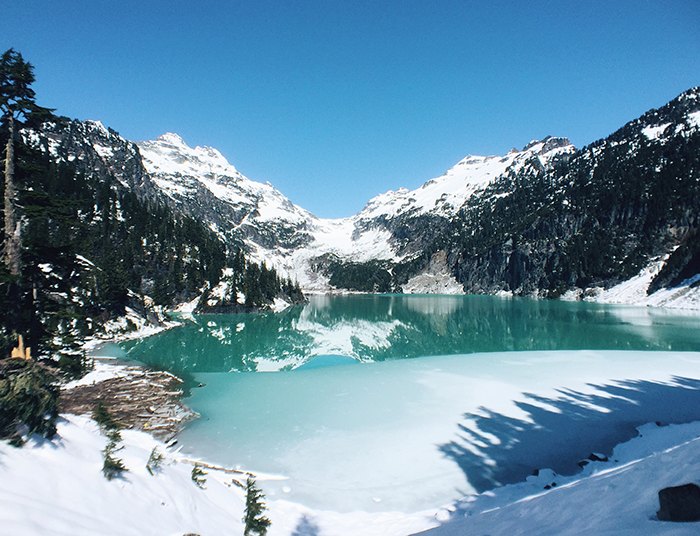 All thoughts of mud and sore thighs were forgotten though at the first glimpse of Blanca Lake. 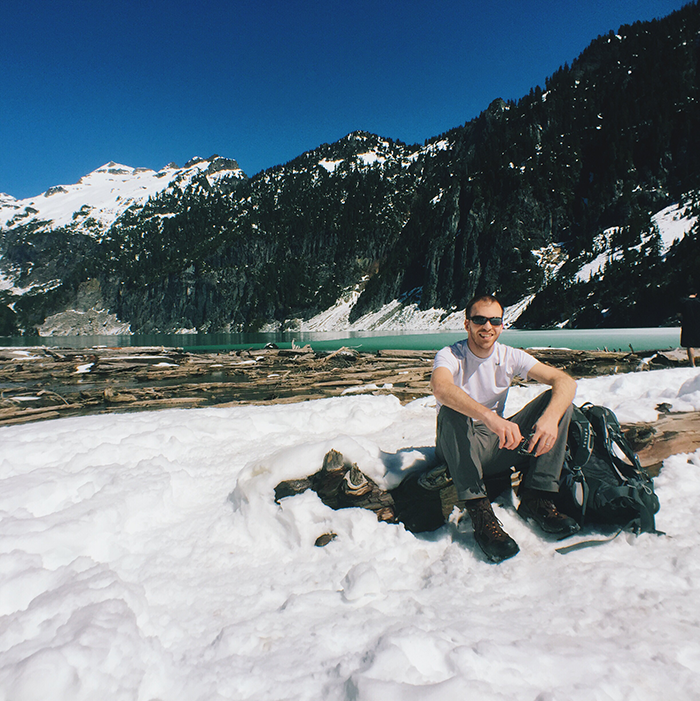 It is truly stunning – one of the most beautiful lakes I’ve ever witnessed. The green hue really takes your breath away and it feels much more expansive in person. This is one of those hikes where I’m so grateful that you can’t just drive up to enjoy it’s beauty. You really have to work for it – but rewarded you will be! We took a break off the path near the top of the lake to eat our lunch and take in the view. We had the spot to ourselves, it was quiet and peaceful – a well deserved rest from our climb. After finishing our lunch we decided to make our way down to join the crowd at the basin of the lake before making the climb back to the car. You could see areas carved out from campers who’d spent the night and I couldn’t help feeling a little envious. 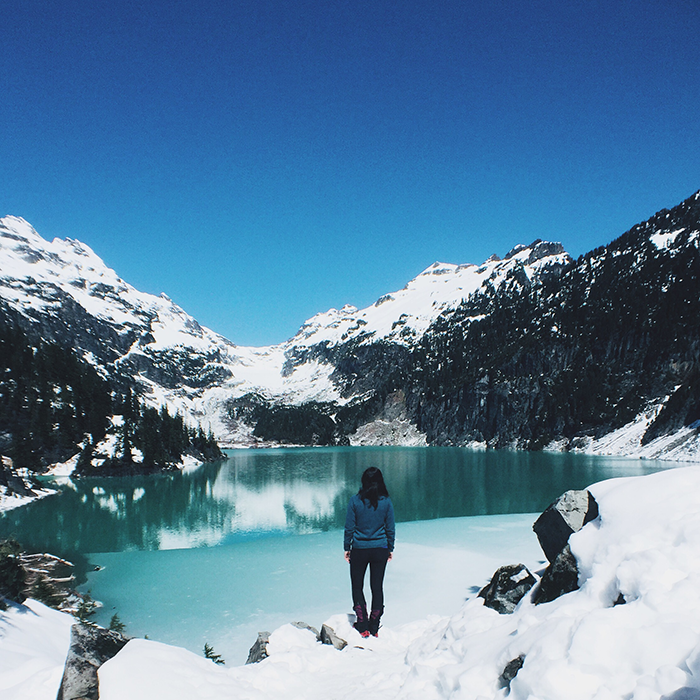 Blanca Lake would make a wonderful overnight. On our way back to the car we noticed the snow had melted substantially. If it was sloppy before it was now ten times worse from the sun. I was grateful for my gaiters, microspokes and promise of clean shoes at the car. We reached the parking lot (those switchbacks feel never-ending on the way back, right?!) with happy hearts. Definitely a day well spent! WOW these are awesome photos! I live in Seattle and am always looking for new places to explore. Definitely putting this on my list. Thanks for sharing! Thanks for your kind words Amanda! 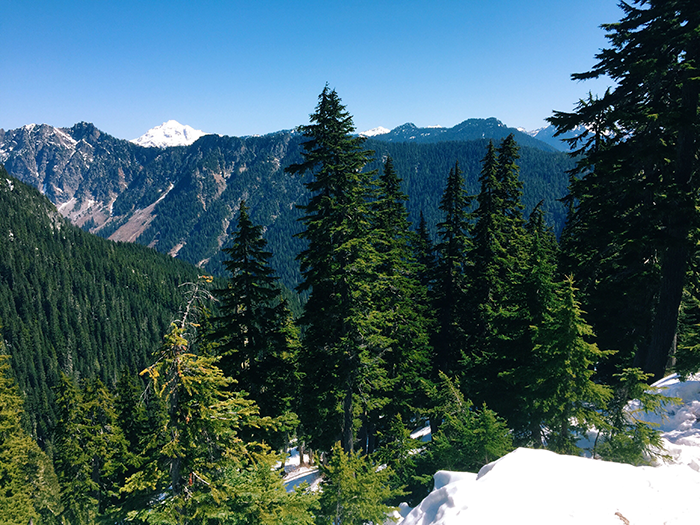 Hope you’ve been enjoying some hikes in this gorgeous weather!